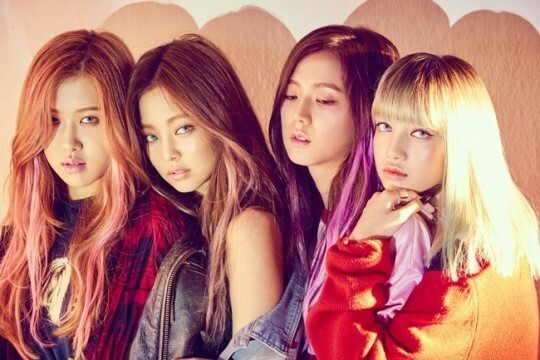 BLACKPINK about to Comeback on May or Early June - On May 10th, media booming with along waited BLACKPINK comeback. 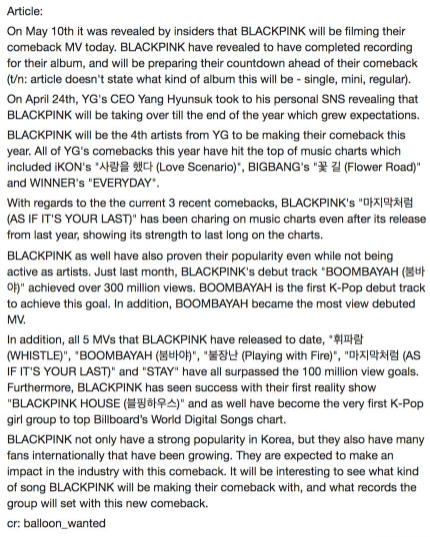 YG CEO, Yang Hyun Suk also told fans personally that BLACKPINK`s comeback was imminent. Today blackpink is shooting, wrapping up with recordings for their comeback. And their comeback is predicted to be late May or Early June. For BLACKPINK comeback, Yang Hyun Suk said that they are challengin` a new genre of music and have prepared for it a long time. So we have to understand YG`s rules to postpone his artist comeback, because we know that YG entertainment always hardly prepared their music to make great music. So BLINK, let`s be party and support our girls to make them happy. And hit the chart in the world, brings terophy from all of awards. Hwaiting!! !